I haven’t painted a “Series” before so this is another first. I have been drawn to people the last few years and it appears, more so children. So I have decided to do a series on Mexico’s future, which is of course, its children. Where better to start than with Mexico’s past , the Revolution of 1910, with its annual celebration in November. Mexico’s future, its children, dominate the day’s events steeped in history and tradition. 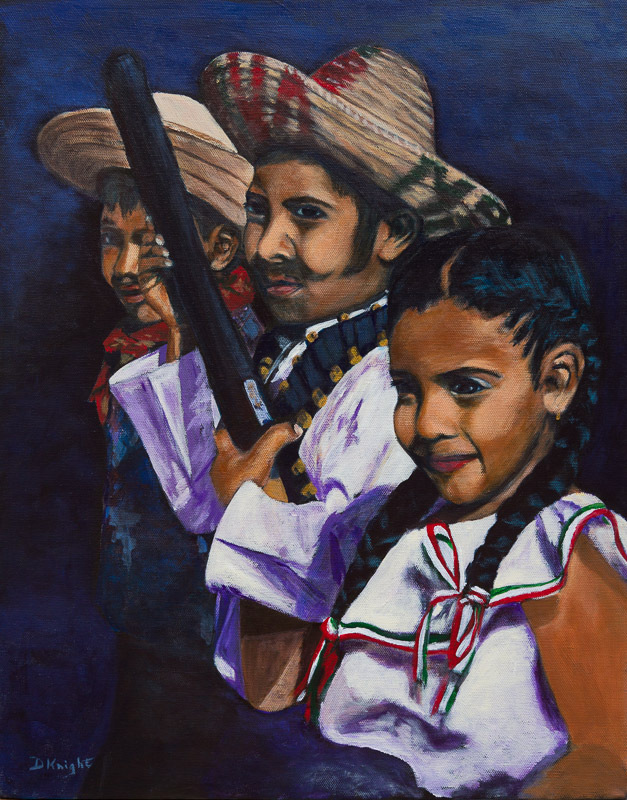 You can feel the pride and determination emanate from the Mexican people, especially the youth. With the youth in many other countries appearing to have lost their way, Mexico indeed is a country to be looked up to and perhaps envied.